You know it should work for you. But somehow you're just flushing money down the drain. It feels like gambling at a Vegas casino – and Google owns the joint. The odds just seem stacked against you. Your competitors see to be making it work, so what's the secret? I've spent over £4.3 million on Google Adwords (admittedly mostly clients money). I'm going to reveal the “hacks” that turn it from being a casino, to your own, well oiled, customer getting machine. 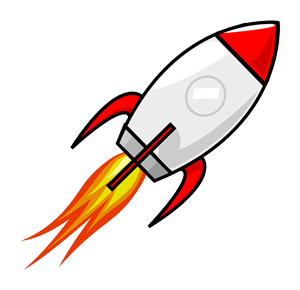 Configuring & running Adwords is like launching & controlling a space rocket. It's incredibly complicated. Hundreds of moving parts which must all “fire” together to get lift off. 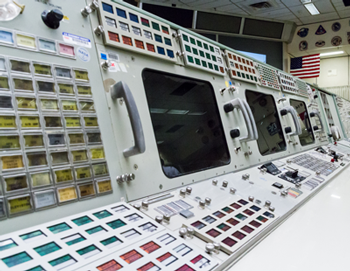 If you walked off the street into NASA & sat at the launch desk, you wouldn't know where to start. But send in a rocket scientist, and you'd get lift off. For most users, the common (not necessarily correct) objective is to be #1 for the least cost per click. 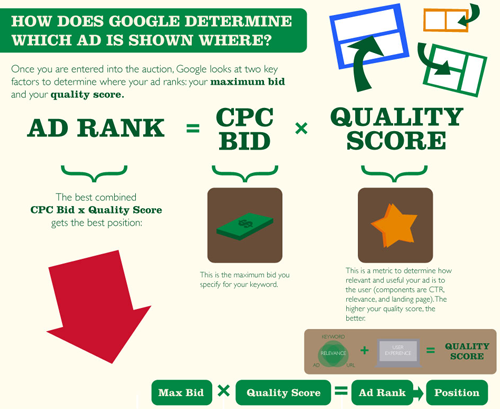 Google determines your position for any given search, using calculations based on your maximum bid and your quality score. 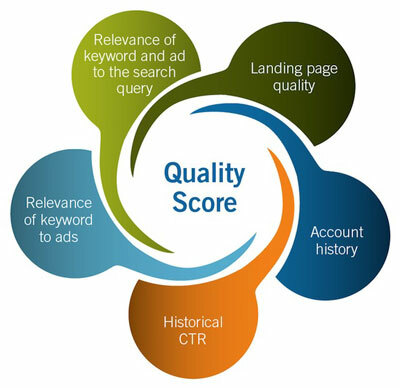 Your quality score is a metric Google determines from the relevancy of your ads, your keyword, the keyword ,your landing page (destination page) and historical account performance. It's not a straight auction. It's adjusted because Google rewards relevancy. The upshot is this: If you and your competitor are bidding the same amounts against each other, and their quality score is better, they are going to out do you every time. If your quality score is low, you'd have to bid a huge amount to win the “auction”. And that is known in the industry as paying Google's Stupidity Tax. So if you are not paying proper attention to Ad Copy, Clickthrough Rates, Adgroup relevancy, webpage relevancy, then you'll need to “pay more to play the game”. And that's what cripples a lot of small businesses. Then they conclude that Adwords is too expensive. Or doesn't work. most likely you wouldn't even be able to pull away in it. Doesn't mean it doesn't work though. Whats more, if I can pay less than you per click, all other things being equal , I can spend less to acquire each customer and therefore gain a competitive advantage. But taking it one step further, if I then control the other aspects of Adwords – improve my adverts (and therefore my clickthrough rates), analyze conversions and improve my landing pages – I can lower my cost per customer acquisition to rock bottom, freeing up cash to use elsewhere in my business. 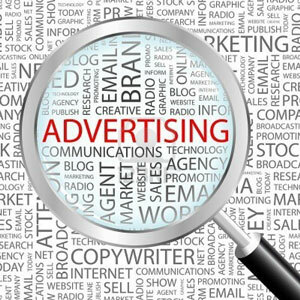 Now you know the underlying principle of Adwords, it's time to understand Advertising. We'll come back to devising the offer later, first lets look at how to reach the right people. In Adwords, you reach your customers, by targeting specific search keywords. The keywords represent your customers. But ..
Not all Keywords are created equal. Each keyword (or keyword phrase) has different characteristics. It collectively represents the intentions of all the people using it to search in Google, and therefore each one has different characteristics. Therefore, each keyword converts differently. Some represent the early stage of the buying process while others represent a customer with their wallet out. Even in relatively local markets, we've found there can be 200 + different keyword phrases, each converting differently. In national markets, this can be 30 000 + keyword phrases. Without this you don't stand a hope in hell. A competitor who tracks these metrics will have a goldmine of data on what works and what doesn't. And will wipe the floor with you. You need to track enquiries and sales. There are many ways, from using Google tracking code embedded on your website, through to telephone numbers and even using time spent on site data from Analytics. Once conversions are tracked, you will know which keywords work. And which ones to cull. Like a intelligent stock investor, you want to let your profitable stocks soar, and cut your losers quickly. It's the same with keywords. With conversion data coupled with information from Search Query Reports on what people are actually searching for, you can control this. We want to get your offer in front of the most receptive customers. It's a case of casting your line in the right pond. Even the day of the week. All can be configured in Adwords. Your Ad is part of your offer. It differentiates you from your competitor. It is your USP (unique selling proposition). The more your ad is clicked, the more Google rewards you with a better Quality Score and the lower your Adword spend. (In tandem with choosing the right keywords of course). So constantly writing and testing new ads is a must. 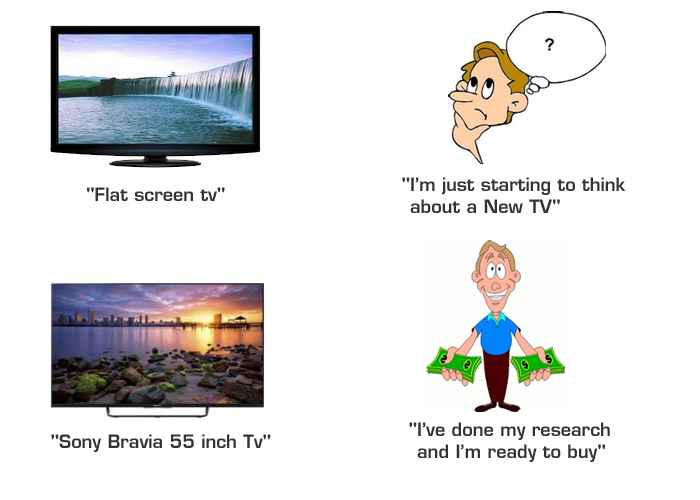 TV advertising is all about branding, staying in the customers mind until they are ready to buy. Then they think of you. Ad Retargeting – the process of showing your ads to past visitors as they visit other websites – is a hugely effective way of getting more customers, lowering your customer acquisition cost and increasing ROI. It keeps you in front of the customer until they are ready to buy. A rocket veers off course practically every second it is in the air. Adjustments are constantly needed to bring it back on course. It's a continual job of pruning the waste, cutting the losers and putting more into the winners. Think of your Adwords account as a stock portfolio, that can be infinitely adjusted. In the next section . . .
Funnels: How to send your ROI “stratospheric” with well designed funnels and beat your competitors into submission once and for all. Clickfraud: Are your competitors or automated “bots” clicking on your ads and running down your budget? It's estimated that 11% of all online ad clicks are fraudulent. Here's how to find out -and how to prevent it. © 2019 Digital Edge Media Ltd. All Rights Reserved.